The Adventure Park at Long Island is open for its 2019 Season, including the addition of "Grand Rapids" trail added late last year. 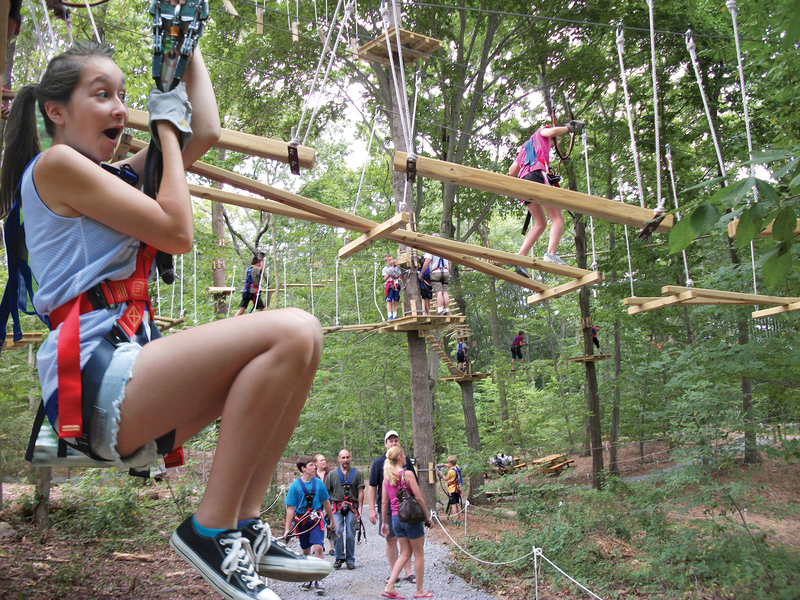 (PRLEAP.COM) The Adventure Park at Long Island, the popular outdoor zip line and climbing venue located on the grounds of the Henry Kaufmann Campgrounds, at 75 Colonial Springs Road in Wheatley Heights, is now open for its 2019 season of zip line and climbing fun, starting with its spring schedule. The Park will also extend its hours during the school spring break. New for the 2019 Season is "Grand Rapids" - the thrilling, mostly-zip-lines aerial trail for those who can't get enough zip line fun. NINE zip lines, yes, count 'em—nine! For further details and updates visit www.LongIslandTrees.org, email Info@LongIslandTrees.org or call (631) 983-3844. Facebook: @LongIslandAdventurePark. The Adventure Park at Long Island is designed, built and operated by Outdoor Ventures in cooperation with Henry Kaufmann Campgrounds. It is located at 75 Colonial Springs Road, Wheatley Heights, NY 11798. For further details and updates visit www.LongIslandTrees.org, email Info@LongIslandTrees.org or call (631) 983-3844. Facebook: @LongIslandAdventurePark.